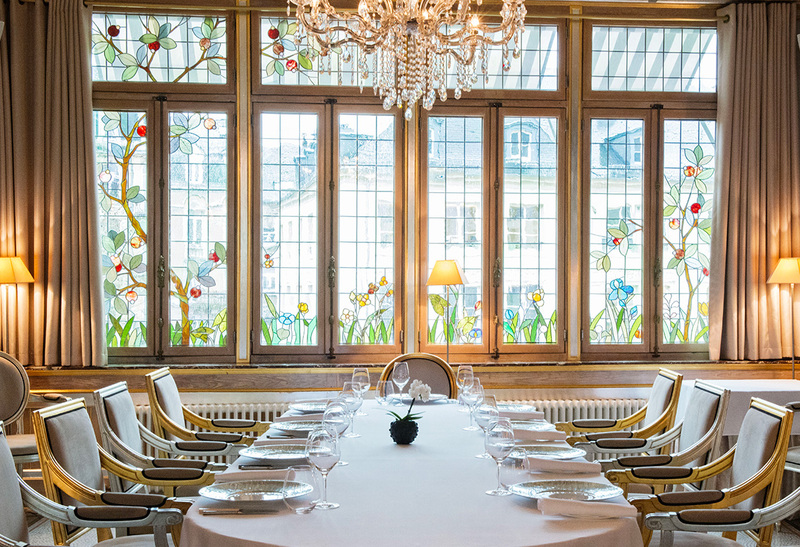 At La Cristallerie, where golden leaves and Art Nouveau stained-glass windows set a "Grand Siècle" atmosphere, the Chef Fabrice Salvador suggests a true cuisine made with all his heart. Combine all that with our Restaurant Manager and Sommelier Olivier Schanne’s playful wine matchings and you are on to enjoy the journey. Constantly looking for rare products, this quest pushes every single day our Chef's creativity. Hence, he invites you to follow him on his epicurean path. And this gourmet stop is right here in the “Luxembourg Salon”. 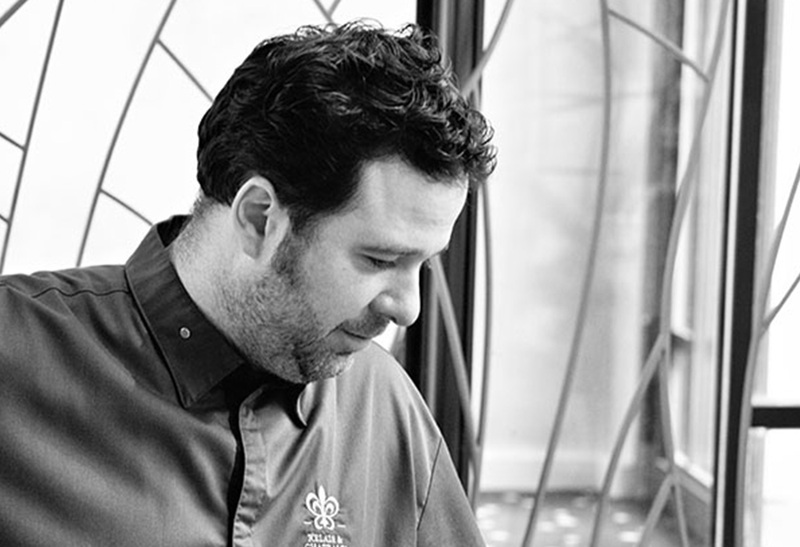 Fabrice Salvador takes you on a journey inspired by the seasons, making the most of his cuisine about the taste. As he meets with the producers, he commits himself in selecting extremely fresh products. Just try his “Cueillette”, seasonal vegetables, or the Chalosse Foie Gras Miso, grilled and smoked with hay of Crau. In order to surprise you with subtlety, he analyses and works in several ways and cooking techniques, products of exception such as Palamos prawns; served in “Crudo” or grilled at “la plancha”. The real Japanese Kobe beef to be tasted in three different preparations, and when the season comes, with beetroots and green papaya salad. 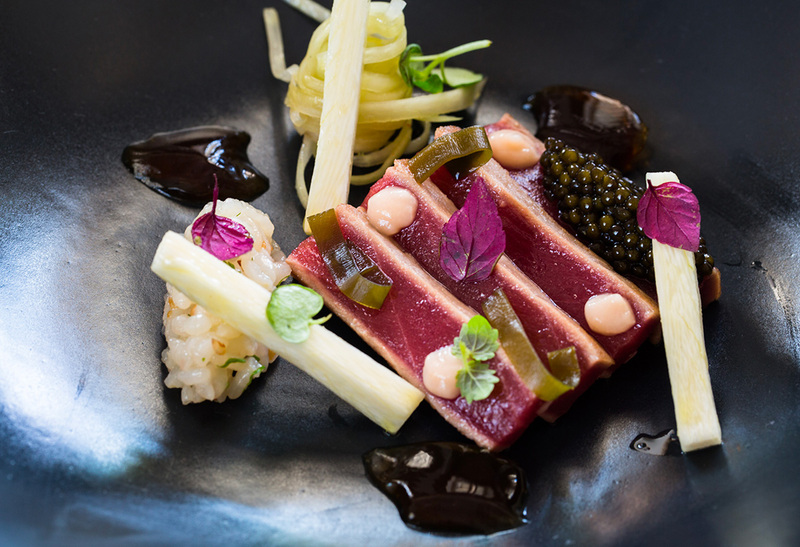 Don't you dare forgetting the rare blue tuna from the Mediterranean Sea and dashi: plancha snacked tuna ventresca, dashi broth, koshihikari rice and Kristal Caviar. The inspiration comes with the products. We are supplied on a daily basis from Annie Bertin's garden, "Les Paniers de Sandrine" or Mr. Jego fishes. "I don't choose any vegetables, it's the harvest of the day which will guide the menus' creation." We all care for the nature rhythm and we respect what it gives us. In fall, one of the richest seasons, we benefit from the last tomatoes, the first mushrooms and the long-awaited scallops. This colorful and flavored explosion feeds every seasons, the Chef's creativity. "In Asia, my beloved region of the world, I have discovered a large diversity of fruits, vegetables, spices, herbs and also techniques. I use those on a daily basis, with my own identity and Savoir-Faire, without taking off any product values." You want to share a unique experience with your relatives? 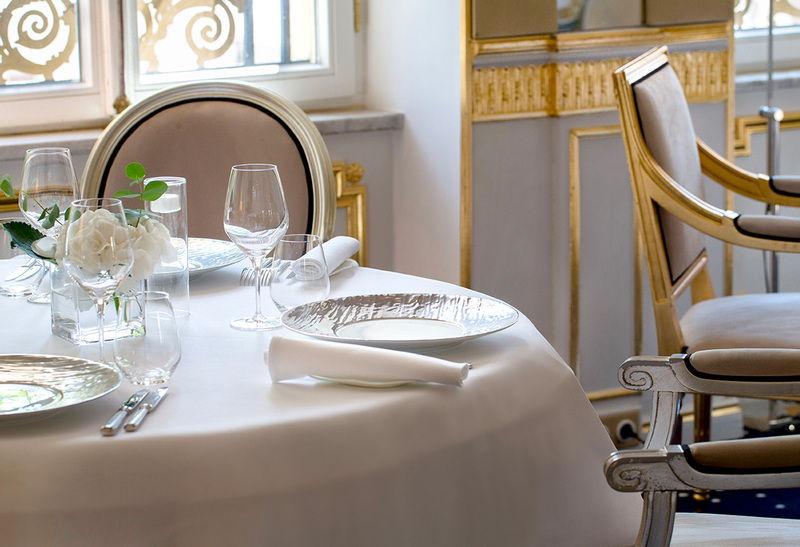 You can privatize the Art Nouveau salon and build together with the Chef Fabrice Salvador, your tailor-made menu. You may invite up to 20 guests at your table.